This exciting new campaign will issue a rallying cry to inspire people to be part of Northumberland’s story, as told by the people who know it best - those that are proud to live, work, visit or invest here. Campaign ambassadors who spoke at the launch included renowned North East businessman Graham Wylie CBE; award-winning entrepreneur Brian Palmer from Blyth-based Tharsus; and Tony Gates, Northumberland National Park chief executive who moved to Northumberland 12 years ago. 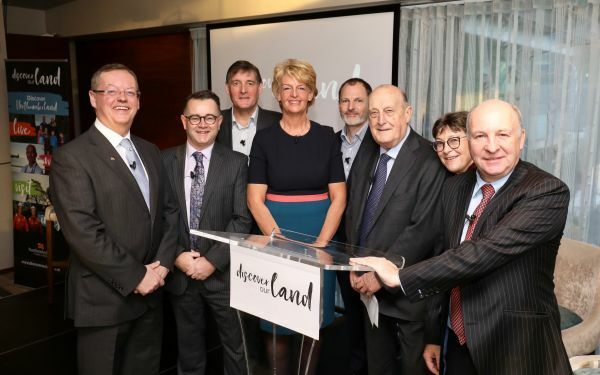 James Ramsbotham CBE, chief executive of the North East England Chamber of Commerce, who has also become an ambassador for Discover our Land, welcomed the campaign and said: “Northumberland with its spectacular hills and glorious coastline offers so much to potential investors. The desire to build on the county’s proud industrial heritage has seen businesses from every sector thrive over recent years, taking advantage of highly skilled and dedicated people, plentiful space and natural resources together with the warmest of welcomes.